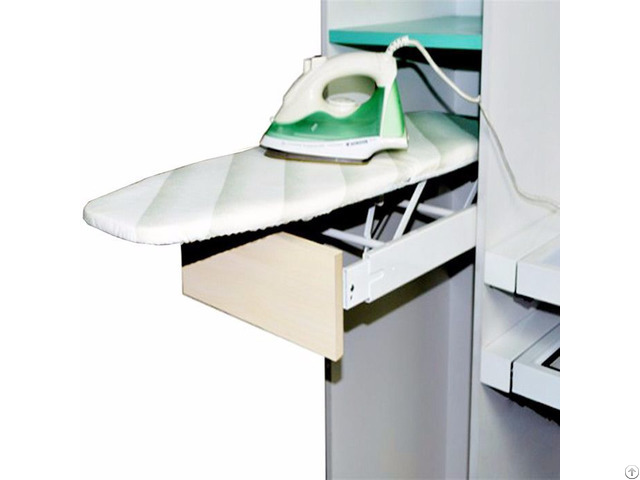 Description of The Ironfix Built-In Ironing Board:The Ironfix Built-In Ironing Board is an excellent space saving solution in any kitchen or bedroom.The entire ironing board is built into the drawer space of most standard base cabinets. 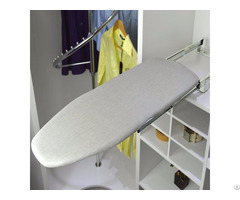 The ironing board pull out for easy use and the width is adjustable to fit different size of cabinets.By simply pulling the drawer open and unfolding the board, The hinging front section permits trousers and shirts to be pulled easily over the board.The height of the Ironing Board is adjustable and makes the Ironing Board humanized. 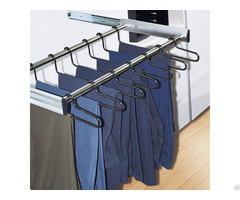 Including mounting hardware, folding ironing board and heat-resistant fabric cover. 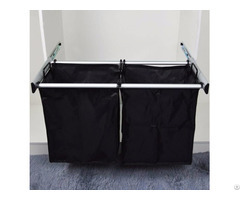 For installation in the drawer space of most standard base cabinets. Height adjustable & humanized design. Pre-assembled, fitting instructions included. White and grey striped cotton cover with a foam lining and an elastic gathering to ensure a good fit.